CED Solutions, LLC, the largest provider of Microsoft certifications in North America, is proud to announce that CED Solutions will provide training beginning this January for the most complete Windows 2008 Server/Windows 7 Boot Camp available. The course also comes with a free copy of the Microsoft Windows 2008 Server Operating System. As one of the leading providers of Microsoft certifications, and Cisco certifications, and computer training in the United States and Canada, starting in January CED Solutions is offering the most complete Windows 2008 Server Boot Camp available. This training camp will provide full-day hands-on training and labs with extra study being done each evening for two weeks. The course incorporates the new Microsoft Windows 7 Desktop operating system and includes a free licensed copy of the software for each student attending. The 7 certifications of the course are: MCITP: Enterprise Desktop Support Technician (Windows 7); MCITP: Windows 2008 Server Administrator; MCITP: Windows 2008 Server Enterprise Administrator; MCTS: Windows 7 Configuration; MCTS: Windows 2008 Server Active Directory Configuration; and MCTS: Windows 2008 Server Applications Configuration. "This course is the most complete Windows 2008 Server Certification course available and now includes Windows 7," said Rich Rodgers, CEO of CED Solutions. "Three different MCITP and 4 different MCTS certifications can be obtained from this one two-week course." The course includes roundtrip airfare, lodging during the course, Microsoft Official courseware, practice exams, all certification exams taken onsite (extra test vouchers, only if needed), breakfast and lunch, snacks and refreshments. CED Solutions is proud of our servicemen and women from the Army, Navy, Air Force, Coast Guard, and Marines. Military grants are available for active duty, reserve, national guard, and veterans of our military services. CED Solutions provides training for thousands of students each year. Students occupy nearly 18,000 room nights per year and take up to 800 certification exams in a two-week period. CED Solutions will continue to provide training for corporations, government organizations, and individuals who have paid for training at Intense School by allowing the students to attend CED Solutions' classes. Organizations and individuals may call (800) 611-1840 to find out details of attending the training classes. Individuals from government organizations and corporations, and single individuals who have fully paid may participate, and students who have partially paid classes may pay the remainder due to participate. CED Solutions, LLC is the largest provider of Microsoft technical certifications in North America and continues to be through November 2009. With campuses and onsite training in North America, CED Solutions has provided training to tens of thousands of individuals and thousands of organizations alike. With more than 100 programs available CED Solutions offers everything from CompTIA certification classes, .NET MCPD for Developers, and MCITP: SQL 2008 Server for Database Administrators and Developers. As a Microsoft Gold Partner and Certified Partner for Learning Solutions, all CED Solutions' instructors are Certified Instructors for all vendors, and certified in the courses taught. 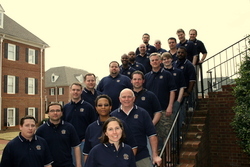 To learn more about CED Solutions please call (800) 611-1840 or visit us online at http://www.cedsolutions.com.